Expedition cruisers of today are the equivalent of yesteryear's intrepid explorers, seeking the most unusual and remote locations on the planet. There was always the challenge of who could reach the poles first, climb the highest mountains, or sail the farthest. This 300-page volume clearly identifies all of these extreme locations and firmly throws down the gauntlet to you and your adventure-prone cohort. Since tweeted-coated, leather-booted intrepid explorers of yesteryear first embarked on journeys into the true unknown, world exploration has driven a passion within us. In a world bursting with incredible and alluring destinations, visiting the largest, oldest, highest or most extreme places – those that are truly and factually unsurpassed – provides us with a wonderful sense of achievement and helps us make sense of our place in this big old world. 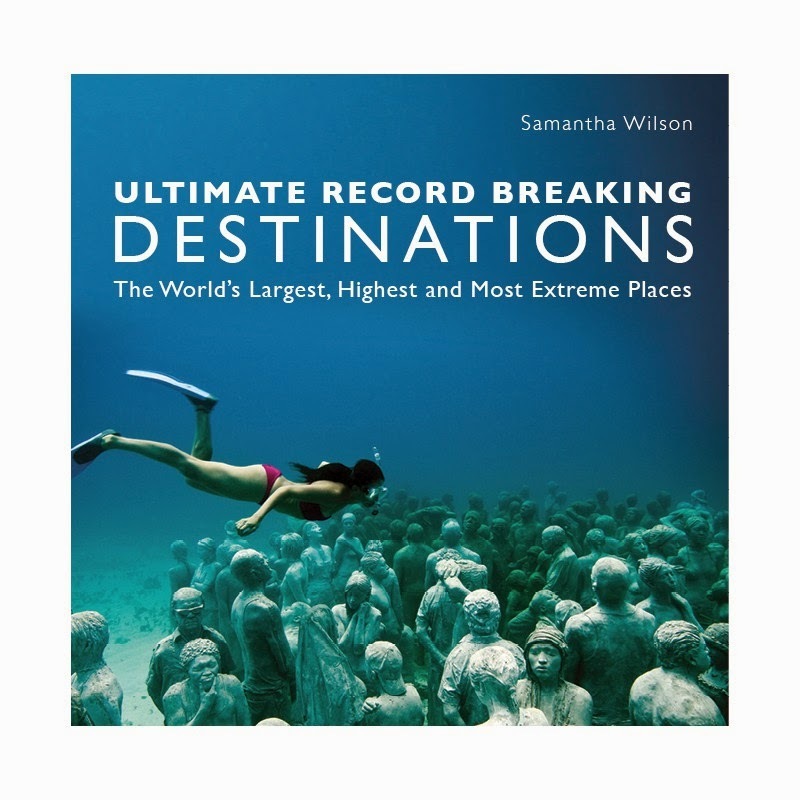 Take a journey of discovery to 100 of Earth’s record breaking places, from swimming in the deepest lake to stepping foot on the largest sand island or spending a night in the largest ice hotel. Find out exactly where the lowest point on dry land, the furthest point from the sea or the oldest restaurant is and uncover astounding world facts that will both ignite your wanderlust and give you the ultimate bucket list. Samantha Wilson is a long- time travel writer and author whose journeys have taken her from the northern lights of the arctic to the wilds of Patagonia and the remote islands of Palau. She has inter-railed through Europe, canoed the Swedish lakes and camel-trekked the North African deserts. When she’s not researching her next book she lives in the British countryside with her husband and far too many pets.